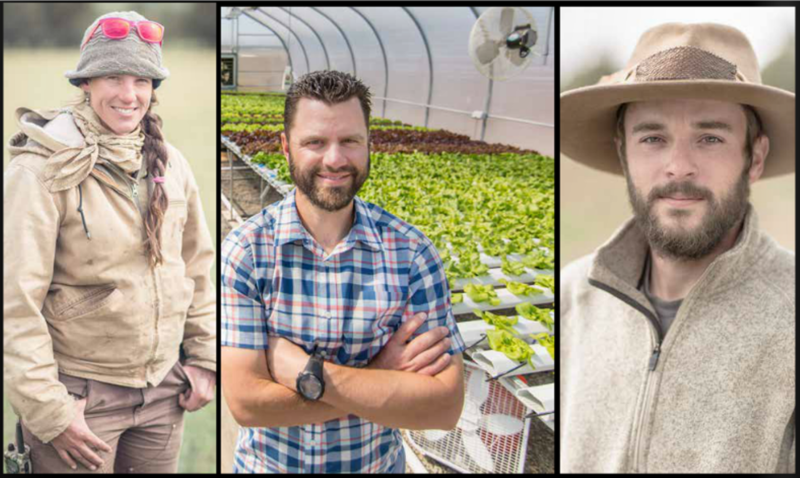 "Farmers are underappreciated, unsung heroes who are so vital to our community," says Nicolle Timm, founder of Central Oregon Locavore and a new event, the Faces of Farming. "I wanted to create an event for them. To show them appreciation and put them in front of a larger community, to be recognized and acknowledged." Saturday, June 13 is the inaugural Faces of Farming. It's a multifaceted event—part art show, part farm tour, part choose your own adventure—all intended to better connect consumers with actual farmers. One path to take as part of the event is the Faces of Farming Family Fun Day, where children and their parents are invited to tour Central Oregon farms and learn about local food, eat local grub, and learn a few sustainable living skills. The tour begins at Fields Farm, a 10-acre vegetable farm just a stone's throw from downtown Bend; from there the tour heads to Juniper Jungle in east Bend, and concludes at Worthy Gardens, a varied urban garden located at the brewery. Children can enjoy planting seedlings, making beeswax candles, and eating Bonta honey gelato while learning about bees. 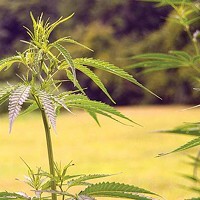 Another path to take is the Hydroponic Tour, which intends to provide insights on farming in harsh Central Oregon conditions. Participants learn firsthand at Next Season Farm and Tender Greens Hydroculture Farm how hydroponics work, how they extend the growing season, and why they are the future of farming in the high desert. The day concludes with a semiformal gala hosted at the Oxford Hotel's 10Below, which currently purchases goods through an online farmers market, Agricultural Connections. The meal consists of roughly 15 mini courses including birria de chivo, braised lamb tongue with chimichurri, and lamb spare ribs with caramel vinegar sauce. Starring in these dishes are ingredients from Vaquero Valley Ranch, DD Ranch, and Cada Dia Cheese (to name a few). 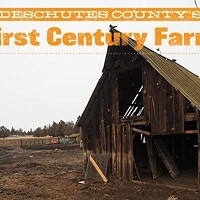 The evening also includes a photographic narrative of the past, present, and future of Central Oregon farming, original artwork, and a silent auction. "The idea for this event started four years ago; we've been photographing and planning since then," said Timm. "To see it all come together and to honor the farmers is a great thing." All proceeds from the event go to Central Oregon Locavore's nonprofit to continue to fund recently created small farmers support programs. 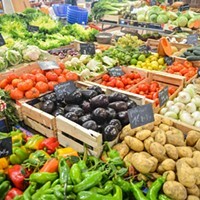 The programs help farmers reach customers more easily by allowing free CSA pick-ups at the Locavore marketplace and revitalizing Locavore's online market to sell whole and primal cut animals and bulk items. $8 per child for one farm; $10 per child for full tour. $5 for Locavore members; $8 for nonmembers. $65 for Locavore members; $75 for nonmembers.